Two hundred years back, the Battle of Koregaon was fought on 01 January 1818 between the British East India Company troops and forces of the Peshwa faction of the Maratha Confederacy at Koregaon Bhima. Two centuries later, another war of sorts took the Government of Maharashtra State of Independent India by surprise. 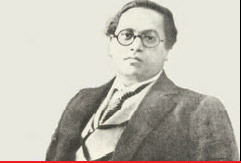 On January 01, 2018, clashes erupted between right-wing Hindu groups and Dalit groups during the commemoration of this battle, a commemoration dating back to 01 Jan 1927, when the Dalit leader B R Ambedkar had visited the site. To commemorate his visit, now thousands of his followers visit the site every New Year's Day. 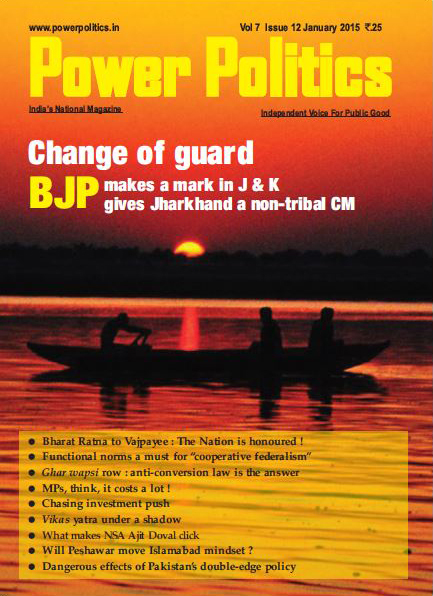 On account of unpreparedness of the Maharashtra Government's political leadership and its police hierarchy, a minor incident between Mahars and Marathas of the same village escalated into what can be termed a modern war of sorts. This was not confined to Koregaon Bhima, but encompassed practically the whole of Maharashtra, as well as some adjoining parts of Madhya Pradesh. The system that prevails in our country has been escalating since soon after Independence in 1947. No political leader or party wants to change it, for all think that this 'divide and rule' policy (originally created by the colonial masters of yore) is the best to garner votes for all types of elections in our democracy. They have no compunction about anything else. This is unfortunately inspired and used by all political parties, including by the party in power in a state or at the Centre. leaders were politicians and the led were poor citizens of India. It is typical of modern internal riots, bordering on wars of our country, where political leaders, both local and provincial and at times even national, sway the masses by targeting their emotions and the poor citizens in turn vent their anger by attacking public property, sitting on bandhs, disrupting road and rail traffic; inconveniencing the public and so on. They do not realise that it is the common men and women like themselves who will be the eventual losers, while those politicians who had instigated them would merrily melt away to their safe locations, by road in limousines and by flights in the business class, if not the first! That is the system that prevails in our country today and has been escalating since soon after Independence in 1947. No political leader or party wants to change it, for all think that this 'divide and rule' policy (originally created by the colonial masters of yore) is the best to garner votes for all types of elections that occur as we are after all the world's biggest democracy. They have no compunction about anything else. This is unfortunately inspired and used by all political parties, including by the party in power in a state or at the Centre. At least two lives were lost in the two day mayhem and since our politicians believe that cash is the ultimate panacea for quietening and shutting up the people, along with false promises, the government announced cash awards (muawza in vernacular) immediately, without going into even the rudimentary details of the incident, like who did what to whom; as also when and how? As time passes and the announced muawza does not reach the right quarters, another bout of destroying public property will be staged! Mind you, it will all be in the name of protests, which everyone in India thinks is legitimate and one's right, for that is what political leaders of all hues constantly tell the public! The police have long since decided that their role is not to interfere in such incidents taking place; or nab the culprits, especially those inciting the mobs, but to do only what their political bosses want to be done. The political bosses take a great deal of time to decide what would be in their own or their party's interest and then order the police to act or let the carnage continue. That is the only reason why an annual peaceful pilgrimage that is conducted on the New Years Day every year by a large number of Dalits since 1927 should have been permitted to become so nasty! Let me go back in time and revert to the battle of 1818 and the so-called causes belli of the violence of 2018. Without going into too many details of the 1818 battle, which are unimportant now, the battle was a stalemate as both sides retreated leaving behind their dead. However, the English claimed victory and built a "victory pillar" (obelisk) at the village. The Koregaon pillar inscription features the names of the 49 Company soldiers killed in the battle. The dead soldiers of Indian origin (natives in English parlance) included 22 Mahars, 16 Marathas, 8 Rajputs, 2 Muslims, and 1-2 Jews. It needs to be noted that the soldiers were from various ethnic and religious groups. On the Peshwa side, too, soldiers as well as commanders belonged to varied classes, religions and castes. The Koregaon pillar inscription features the names of the 49 Company soldiers killed in the battle. The dead soldiers of Indian origin (natives in English parlance) included 22 Mahars, 16 Marathas, 8 Rajputs, 2 Muslims, and 1-2 Jews. The soldiers were from various ethnic and religious groups. On the Peshwa side, too, soldiers as well as commanders belonged to varied classes, religions and castes. GOOD GOVERNANCE ANNIVERSARY SPECIAL Thousands of Dalits visit the site every New Year's Day. A number of Mahar gatherings have also been held there in intervening years. Knowing all this, it is a matter of great concern that the political and police leadership of Maharashtra were in a somnambulist state on 01 Jan 2018, which was the 200th anniversary of the Battle of Koregaon. It is unfortunate that in recent decades, our political leaders have not only resurrected such cleavages among the masses, for in their thinking these are the raison-d-ere for garnering maximum votes. In addition, the never-ending Reservations Policy has increased it to such an extent that practically everyone is clamouring to be included in it. The blame lies squarely in our venerable political parties and leaders, who want to perpetuate it, by all means – fair or foul! In the 1800's, the Mahars were considered untouchables in the castebased society then prevailing. Yet, when it came to military service, soldiers from all castes, creeds and religions were recruited; they served loyally, fought together and spilled blood for their masters. Even the Peshwas, who were high-caste Brahmins, had soldiers from all castes and creeds, and their elite soldiers were Arabs. Even in the post-Independence Indian Army of today, there is no discrimination relating to castes and so on. For example, my own regiment, the Maratha Light Infantry, which draws its inspiration from the great Chhatrapati Shivaji Maharaj, has officers and soldiers of all categories serving in it, including Mahars, Coorgs, Muslims from South, Karnataka boys and others. Similarly, in the movement for Independence in the late 19th and 20th centuries, all Indians participated against the British Rule, without any caste or religious considerations. 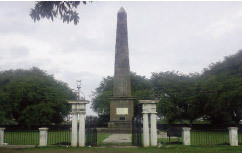 Since 1927, after the visit of Dr. Ambedkar to Koregaon Bhima, the Dalits began seeing the Koregaon obelisk as a symbol of their victory over high-caste oppression. Thereafter, thousands of Dalits visit the site every New Year's Day. A number of Mahar gatherings have also been held there in intervening years. Knowing all this, it is a matter of great concern that the political and police leadership of Maharashtra were in a somnambulist state on 01 Jan 2018, which was the 200th anniversary of the Battle of Koregaon. It is nothing but lack of governance and lack of anticipation. The author is an eminent military strategist. He has been India's Vice Chief of the Army Staff.